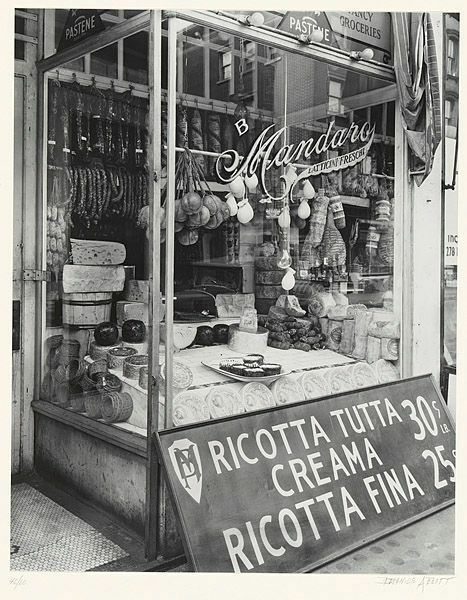 If you've read Inside the Apple (and if you haven't, there's no reason not to start today), you know that the Inside the Apple archives are chock full of old postcards of New York City. 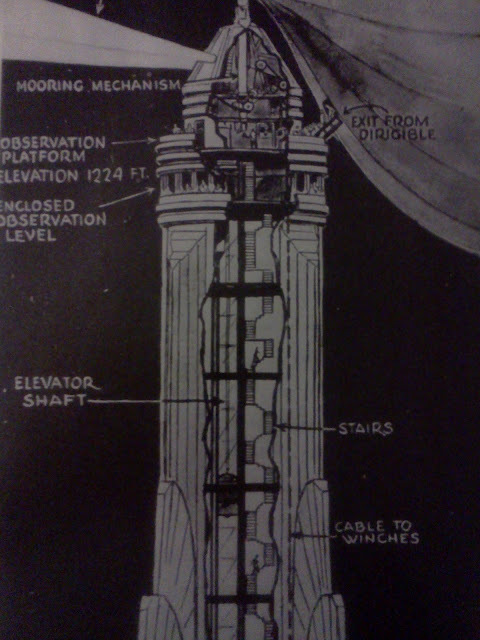 One recent addition to that collection was this wonderful shot of a dirigible moored to the top of the Empire State Building. Despite the fact that this did not -- and could not -- happen, the image of an airship floating above the skyline has become a remarkably durable image of New York. 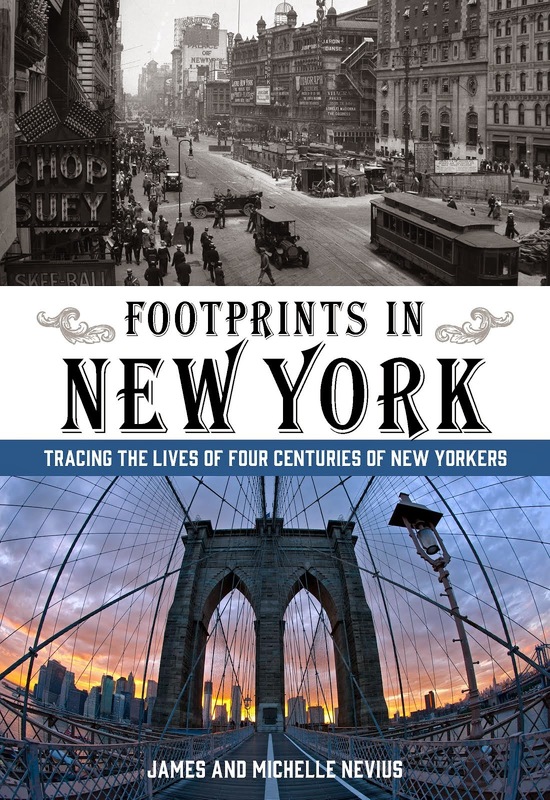 As we write in the book, the Empire State Building was in competition with the Chrysler Building and 40 Wall Street to claim the title of world's tallest building. 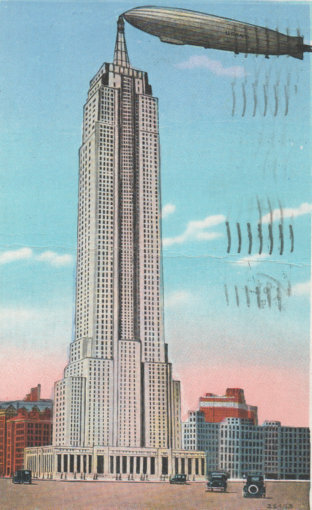 Famously, the Chrysler Building had beaten 40 Wall by constructing a secret spire, or "vertex," that was put into place in October 1929. Six years later, the Hindenburg would explode in New Jersey putting an end to any thoughts -- real or imagined -- of dirigibles mooring in Manhattan. Doing research on a completely different topic, we stumbled upon the blog Computational Story Lab ++;, a collection of musings from a "group of applied mathematicians working on large-scale, system-level problems" at the University of Vermont. So, what's the answer? Not surprisingly, the highest number of positive tweets come from within Central Park, and in the park the highest ranked place seems to be somewhere near the hypothetical intersection of Seventh Avenue and West 77th Street. This is on the Ramble side of the lake and is full of serene and picturesque spots. 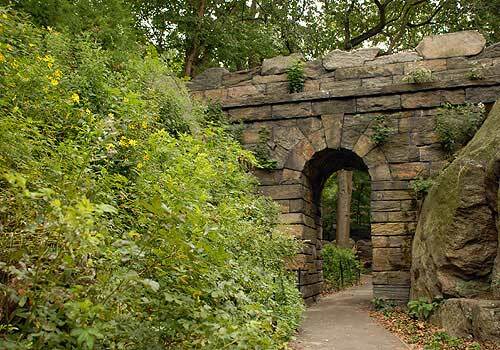 Nearby highlights include the Ramble Stone Arch (pictured above) and the recently rebuilt Oak Bridge. What's your happiest place in the city? Let us know and maybe we can include it in a future post. 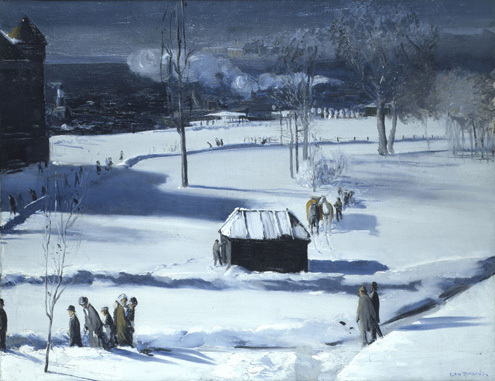 From now until February 18, 2013, you have the opportunity to see a remarkable exhibit at the Metropolitan Museum of Art, "George Bellows." This retrospective of the artist's short career is filled with wonderful paintings of New York City, where Bellows lived and worked from 1904 to his death in 1925. 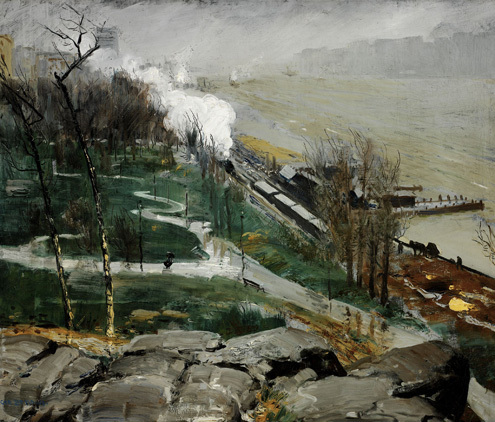 Bellows came to New York at the age of 22 to pursue his dream of becoming a painter. 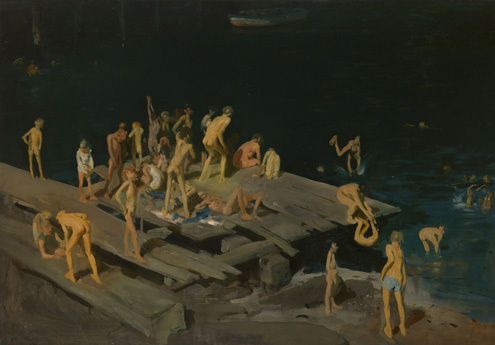 He studied at the New York School of Art under Robert Henri and was pushed -- along with classmate Edward Hopper -- to capture New York in its gritty realism. 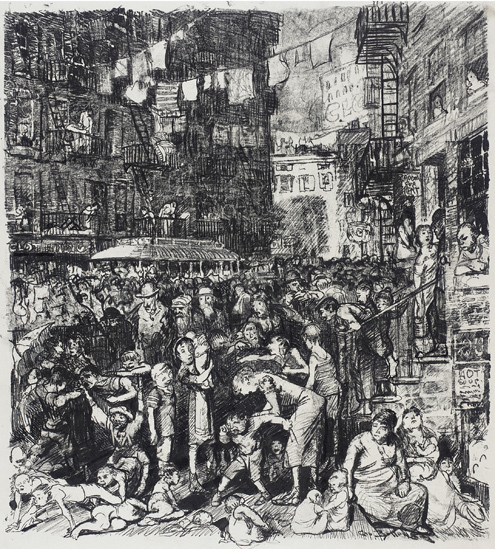 Among Bellows favorite subjects were the immigrants of the Lower East Side; one section of the exhibit chronicles the development of his image "The Cliff Dwellers," -- a chaotic Lower East Side street scene -- as a painting, watercolor, and lithograph. Bellows was also drawn to the edges of the island, and the show features many scenes of the East River, Hudson River, Battery Park, and Riverside Park, a locale the artist would return to again and again. 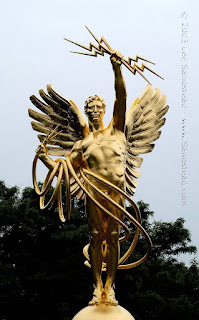 Seeing these images reproduced in two dimensions on a computer screen doesn't do them justice. If you are going to the Met this holiday season, do stop by the Bellows show. It's a compact exhibit and well worth your time.